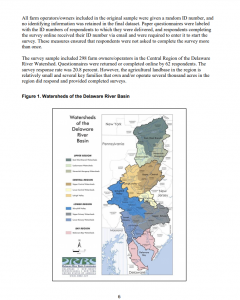 This report, Survey of Farm Operators and Owners in the New Jersey Central Region of the Delaware River Watershed, summarizes findings from a 2017-2018 survey of farm operators and owners in Warren, Sussex and Hunterdon Counties of New Jersey, within the Central region of the Delaware River Watershed. Are farm operators/owners taking advantage of opportunities to develop conservation plans and stewardship plans with government agencies and non-profit groups? Are farm operators/owners employing conservation farming practices, such as installing filter strips and sowing cover crops? If so, why, and if not, why not? Are farm operators/owners participating in conservation programs with government agencies or non-profit groups? If so, why, and if not, why not? Are farm operators/owners generally satisfied with their experience participating in conservation programs, and what kind of impact are these programs having? improve water quality in the region through the Delaware River Watershed Initiative? Overall, what are the major factors that farm operators/owners take into account when making farm management decisions? Each of these research questions was explored through one or more survey questions, the findings from which are detailed in this report. On the survey, all questions asked respondents to comment on farm characteristics and practices in 2017, unless otherwise noted. 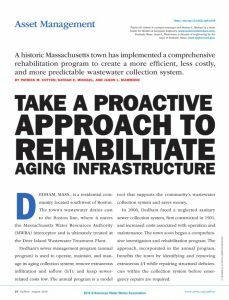 This case study from American Water Works Association’s OpFlow, Take a Proactive Approach to Rehabilitate Aging Infrastructure, observes Dedham, Massachusetts, a historic town which has implemented a comprehensive asset management and rehabilitation program to create a more efficient, less costly, and more predictable wastewater collection system. Addressing lead in water in child care facilities presents a significant opportunity to reduce lead exposure for many vulnerable children in a single location, with reasonable effort. 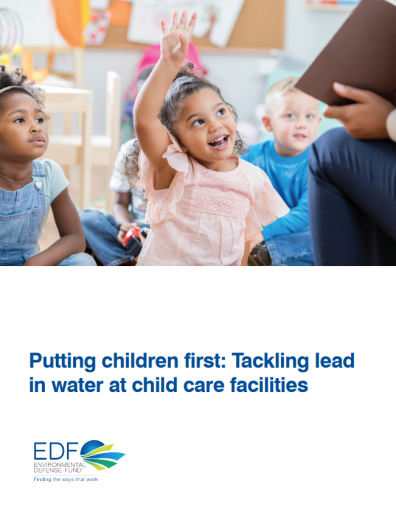 To succeed in testing and remediating lead in water, child care facility operators, state licensing agencies, and health departments will need support from EPA, water utilities, and NSF International, as well as the families they serve. This report, Putting children first: Tackling lead in water in child care facilities, provides recommendations for each of these critical audiences. 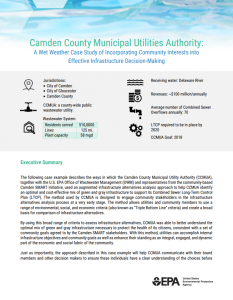 This case study, Camden County Municipal Utilities Authority: A Wet Weather Case Study of Incorporating Community Interests into Infrastructure Decision-Making, describes the ways in which the Camden County Municipal Utility Authority (CCMUA), together with the U.S. EPA Office of Wastewater Management and representatives from the community-based Camden SMART Initiative, used an augmented infrastructure alternatives analysis approach to help CCMUA identify an optimal and cost-effective mix of green and gray infrastructure to support its Combined Sewer Long-Term Control Plan. The approach described in this case example is transferable to other communities facing a myriad of infrastructure challenges. The method used by CCMUA is designed to engage community stakeholders in the infrastructure alternatives analysis process at a very early stage. The approach described in this case example will help CCMUA communicate with their board members and other decision makers to ensure these individuals have a clear understanding of the choices before them as they make the critical financial and policy decisions necessary to ensure the utility’s infrastructure is sustainable over time. U.S. EPA researcher Bill Shuster and his co-authors recently published a paper titled, Factors Contributing to the Hydrologic Effectiveness of a Rain Garden Network (Cincinnati OH USA). The paper is one of two included in a special issue of Infrastructures that focuses on green infrastructure. Infiltrative rain gardens can add retention capacity to sewersheds, yet factors contributing to their capacity for detention and redistribution of stormwater runoff are dynamic and often unverified. Over a four-year period, the team tracked whole-system water fluxes in a two-tier rain garden network and assessed near-surface hydrology and soil development across construction and operational phases. 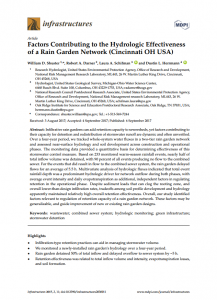 Overall, the study identified factors relevant to regulation of retention capacity of a rain garden network. These factors may be generalizable, and guide improvement of new or existing rain garden designs. This study, commissioned by Alliance for Water Efficiency, conducts a peak water demand shaving pilot project in Rumson, NJ. The objectives of the study were to: determine the viability of using remotely-controlled irrigation systems to reduce peak water demands and thus delay or avoid costly infrastructure, to test implementation methods, and to discover potential barriers for water providers who want to use the technology. 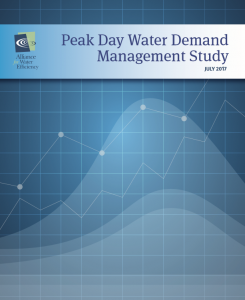 This report is intended to serve as a resource for professionals in the water and irrigation industries to learn from a low-cost, customer-oriented approach to reducing peak water demand. Local and regional water utilities play the lead role in water infrastructure funding by leveraging user rates. In addition, state and local governments typically rely on financing mechanisms like the U.S. Environmental Protection Agency’s State Revolving Fund programs and the U.S. Department of Agriculture’s Rural Development funds. Meanwhile, some states have created programs that raise new revenue for direct funding to fix systemic gaps in infrastructure. 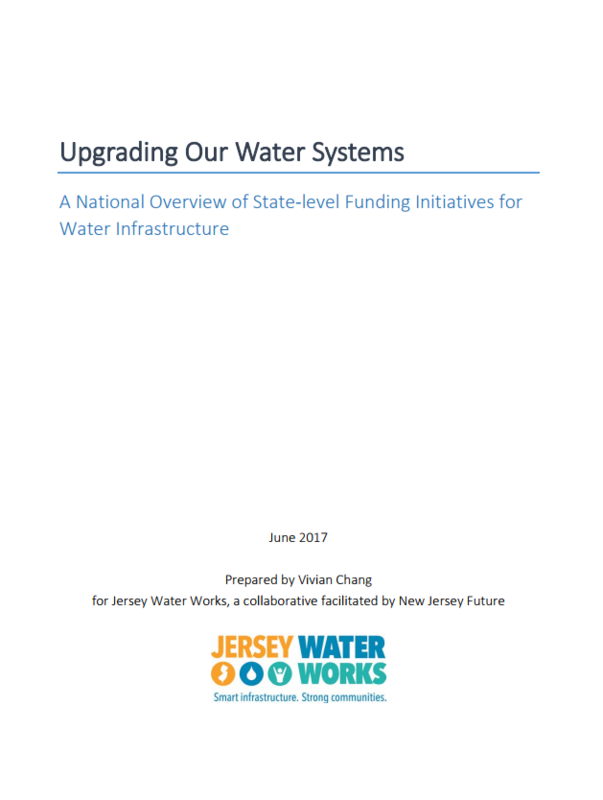 In light of these efforts, Jersey Water Works has released a new report: Upgrading Our Systems: A National Overview of State-Level Funding for Water Initiatives, which assesses the landscape of such initiatives on sustainable water infrastructure. 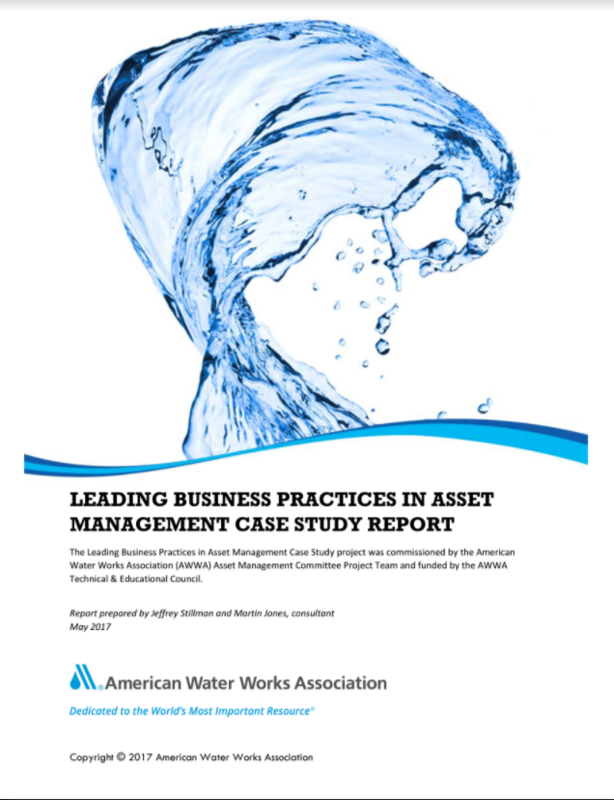 This report, commissioned by the American Water Works Association, is made up of thirteen case studies that illustrate leading practices in asset management across the country. The case studies cover five key concepts: current state of assets, levels of service, risk management, maintenance and reliability, and asset management planning. The report is intended to serve as a resource for utilities to learn from industry leaders and to help improve asset management programs. This article from Next City describes how the Philadelphia-based Community Design Collaborative and the Philadelphia Water Department are partnering to redesign city schoolyards into eco-friendly learning areas that also play an active role in the city’s stormwater management. The article provides a link to the design guide on greening schoolyards, and more information can be found on the Community Design Collaborative website. This case study highlights the prescient investment in water infrastructure the city made in the 1970s that is allowing its booming growth today. 2014.